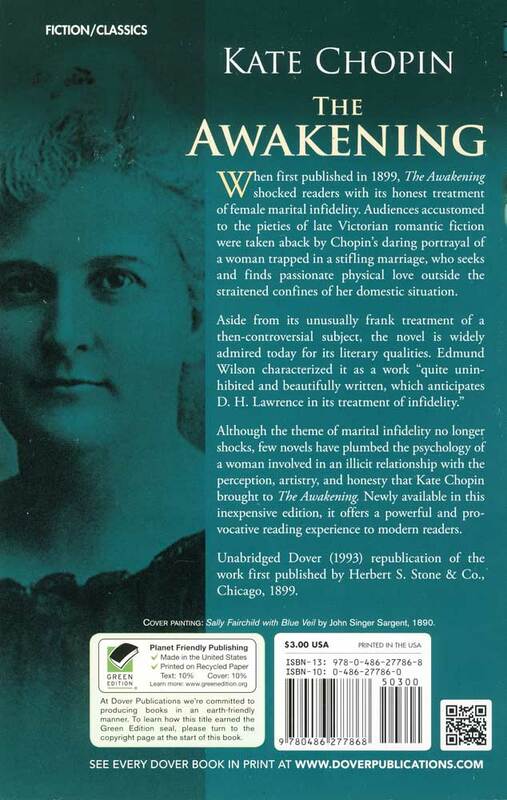 When first published in 1899, The Awakening shocked readers with its honest treatment of female marital infidelity. 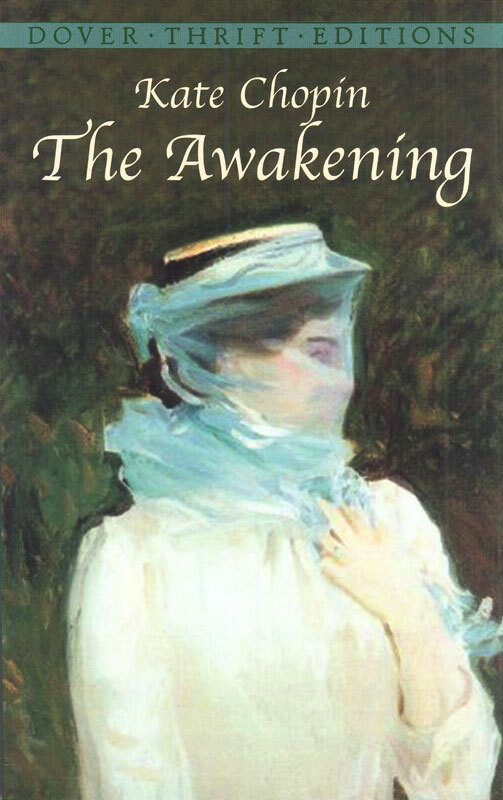 Audiences accustomed to the pieties of late-Victorian romantic fiction were taken aback by Chopin's daring portrayal of a woman trapped in a stifling marriage, who seeks and finds passionate physical love outside the straitened confines of her domestic situation. 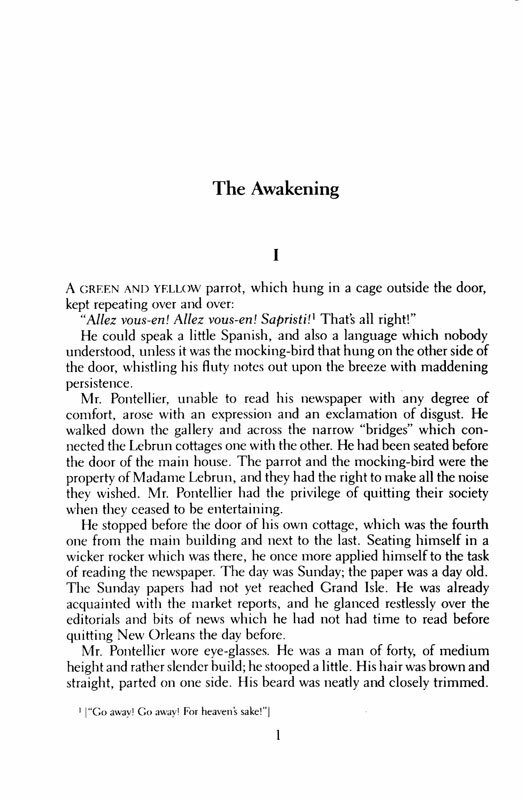 ©1993, 116 pages, paperback, 5 by 8 inches, middle school/high school.